People like to tease me and threaten to randomly inspect all the cabinets and storage spaces in my house. 🙂 Since I’ve shared so many posts and videos showing my home right after I’ve completed an organization project, they wonder if my house gets messy and disorganized just like theirs. Isn’t that a mess?! 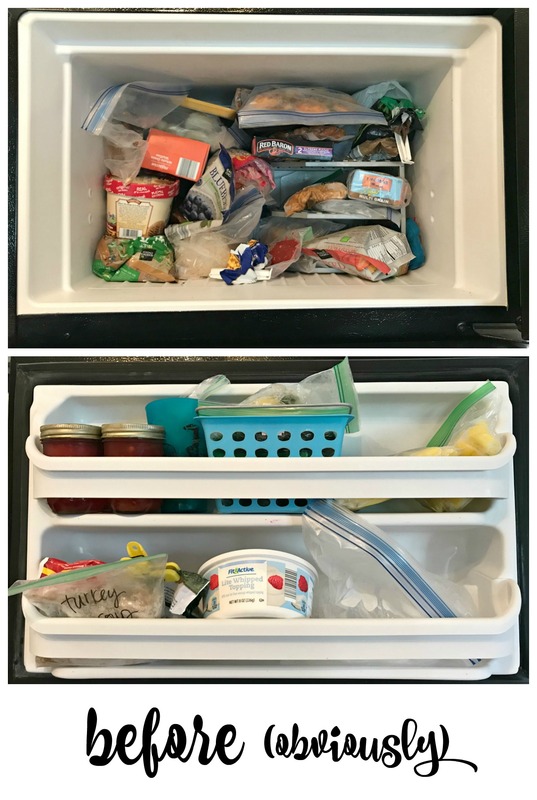 The contents of the freezer change constantly, so it is definitely a harder space to keep organized. However, it only took me 25 minutes to get it straightened up. I took everything out of the freezer and laid it on the counter. Then I sorted the items into groups of similar things: bread, veggies, meat, fruit and entrees. One of the perks when organizing your freezer is that you don’t have the chance to get distracted. You have to work quickly before the ice cream melts! I wiped out the inside and then began putting everything away. Can you believe how much better this looks?!! Ta-da! I did throw away a package of dinner rolls and a slice of really old leftover pizza, and I pulled the whole chicken out to defrost in the fridge – other than that, everything else fit so much better! The shoe box on the top right was something else I added (you don’t have to use the expensive clear bins from The Container Store – all my bins are from Dollar Tree) to hold my assortment of bread, muffins and bagels. That made a huge difference! Do you have a space that’s gotten out of control? 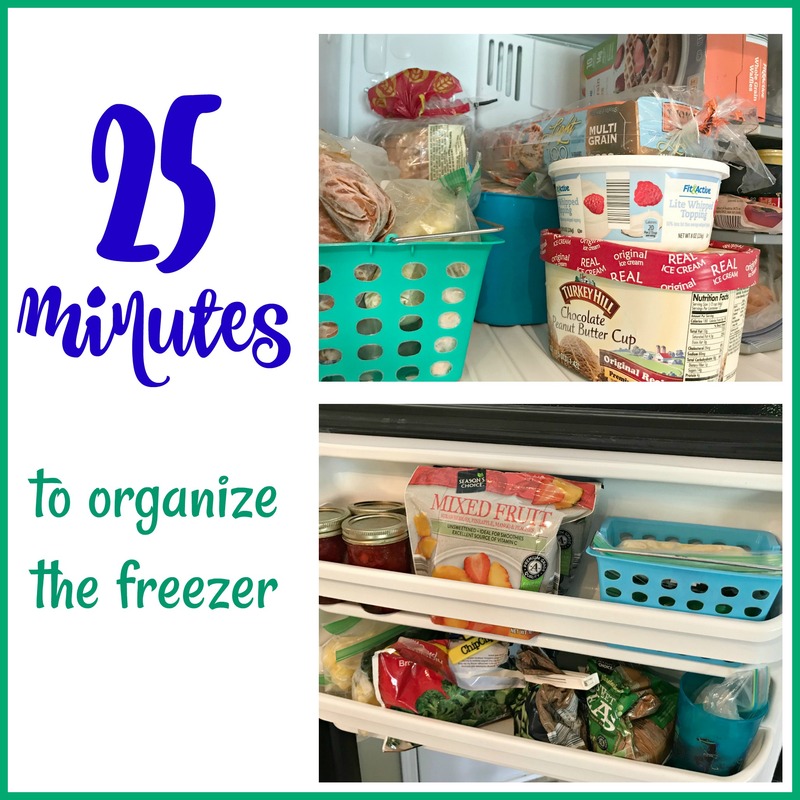 Whether it’s a small one like my freezer or a whole storage closet, you would be amazed at the difference a few minutes can make! Previous Post Home Decorating On A Small Budget | How and Why It’s A Good Idea! Nicely done! I just organized my own freezer the other day. My problem is getting my husband to KEEP it organized! He pays little to no attention to where he returns things (I’m sure others of you can feel my pain). 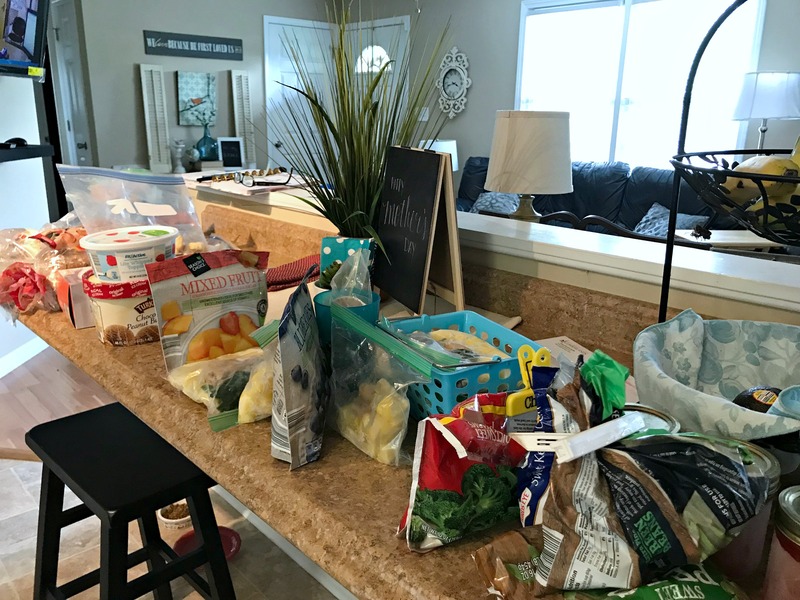 I’ve been blogging to share my journey to getting/staying motivated, organization, generally getting the chaos out of my home and living healthier. I love reading tips like this. I’m always open to some advice! Awesome job with the freezer! Mine is always a challenge, too. I’ve not used bins in the freezer, but I may start. Bins seriously seem to work with EVERYTHING! Did the shelves come with your freezer or did you buy and add them? I bought that from Bed, Bath and Beyond (it’s a plate rack for the cupboard, but works great in the freezer)! I also like to use plastic bins from Dollar Tree. Looks great! My freezer is definitely a troublesome spot to organize at my house, too. Things are always changing and we use it a ton. I need to do a freezer inventory soon and clear out some older items by adding them to our dinner menu. I also have trouble with kid toys. Their favorites are always changing so I find that I have to swap out baskets to help keep things organized and easy for them to put away. 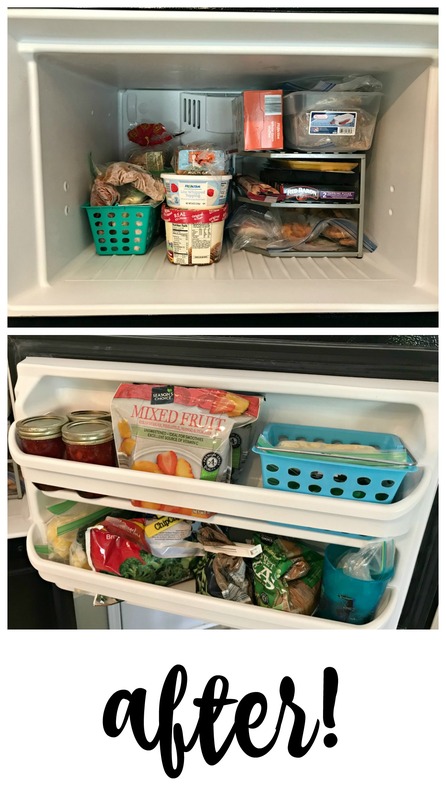 I had a printable inventory that I used to keep updated when we were first married – I think I might go back to at least listing the meals that I have in the freezer, because otherwise I forget about them. Isn’t that crazy?! We never plan those things, but I love it when that happens!